A few days of the Django 1.6 was released, django-firebird is now in beta 1 stage. Feel free to fork from master branch or download and try it. Remember that is using fdb as a default driver. I’m pleased to announce that django-firebird with django 1.6 support is underway. 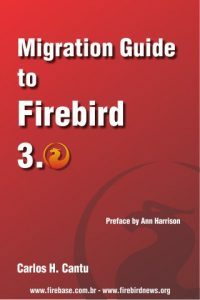 Django 1.6 is still in alpha state, so django-firebird 1.6 too. What are the changes in database field? I just pushed up a new commit into django-firebird github repository  with several python 3 fixes. If anybody can test it with python 3 and report any issue, it will be appreciated. It’s that time of the year again – I’m required to learn new technology due to a project requirement. The requirement is to write something using django, but I do not know django or Python. So I’ve started my first project using the Python language, just to have a feel for it. So, I encourage to try both but mainly the version at github with the new fdb driver . In that way, we can have our new django-firebird adapter almost stable for release along with the final release of django 1.5. There is a new version of django-firebird in github repository. It is still alpha,You can test it with django 1.5 release. This version is under development and uses the fdb python-firebird driver . Given this is still in alpha stage we need that you try it and run the tests and give us feedback if it works for you. Also we need Python 3.x testers.